When it comes to search engines, YouTube is the second largest after Google. This is a huge sensation when it comes to social networks in the world after Facebook. Statistics show that there are thousands of content that are being uploaded every single day. If you want to have a slice to this cake, you need to have the right force and weight for it. What are some of the things that will take you a long way in growing your YouTube Channel? You will be surprised to realize that YouTube creators pay little attention to their profiles. Completing your profile will make you stand out. For websites, it is advised that you come with great content; this is the case with YouTube videos. If possible, have 1080p video or 720p. To attain this, you might be required to invest in a good camera. As for the sound, you need to have high fidelity crisp sound. Take some lessons on post processing for you to know which audio levels work best. Apart from optimizing Meta data on the thumbnail, you can also optimize other Meta fields through standard SEO techniques to bring forth more users. You need to do all these since YouTube is a search engine by itself. After posting a video, come up with a blog post and embed the video on the post. Share the link to your social network profiles. 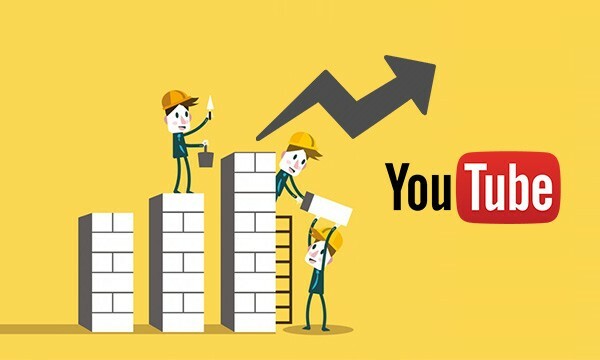 You can also reach out to other YouTube Channels and as them to cross promote your videos. As it is with Television shows; they have schedules so should your YouTube Channels. You are running out of content, seek for suggestions from your audience or have a schedule for a Q&A video every week. Feature some videos; these can be your best videos that you should rotate after a few weeks or months. Change the videos often to avoid promoting ancient content. ← Does it matter to have a good ranking on Alexa?